When Hosico was little, he was so cute and funny that we decided to share his photos on Instagram. Little by little more and more followers joined the Hosico fan club and now he's loved by the whole world. Everybody likes that he’s gold and fluffy. Hosico likes to play with only new toys and gets bored of them in a week. Usually, these new toys are not from the shop, but shoelaces, tree branches, paper sheets, tennis balls and so on. Hosico is scared of unknown people and places. 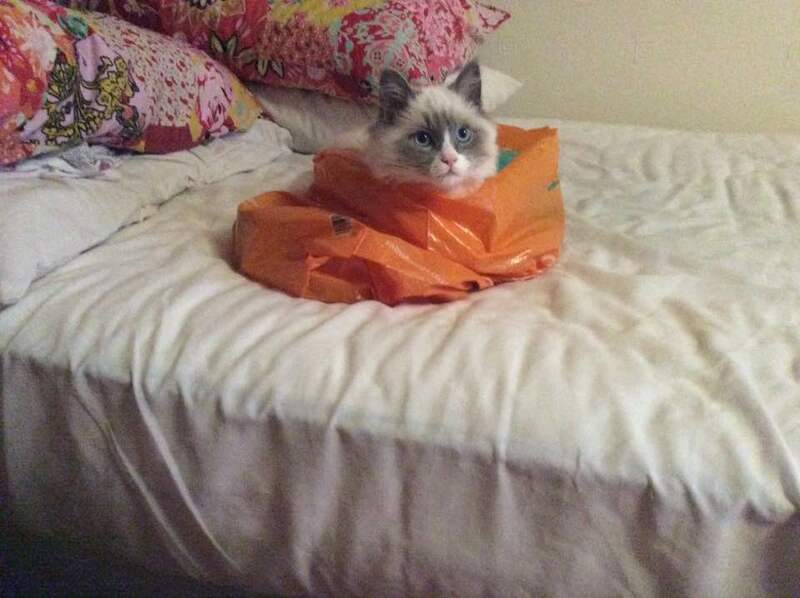 Even when something is simply placed in a different place, he will get surprised. If it's not in the right place – it may be dangerous! 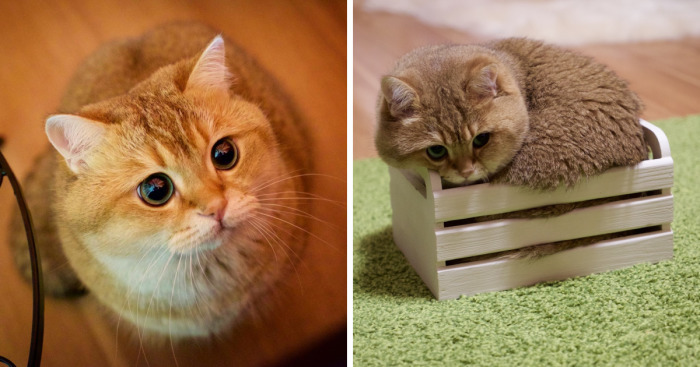 Hosico is often compared with Puss in Boots from the ‘Shrek’ cartoon, or with Garfield, or even with a squirrel or a big hamster. Why can't I fit inside like I used to? I feel SO Lazy today. They're draining the tuna juice into the sink! It's gone! It's gone! Hey, I'm walking on air. I must be a God! you're eating chicken without me? Maybe I want you to scratch my head and maybe I want to bite and scratch you, but you won't know 'til you try. Killer eyes I think I am in LOVE!!!!!!!!! He was going to deliver flowers; Surprise! I'm too cute for this world. Waiting for my belly rub! I want the bouncy ball. Do you not understand? What a cute smiley face! You expect me to EAT this?? If only they were made of tuna! wanna see me do a backbend? What is that outside the window? Hmm, not bad! What else can you do? Yes I will love the baby, but I will not love you anymore. What was I doing just now??? Do NOT step on me!! Wait! Did I finish lunch yet?! NOPE, I'm not the new floor mop.,Just chillaxing. Tail me a story . M on my beautiful, soft fur above my eyes , stands for Masterpiece. All the time in the world for cuddles.